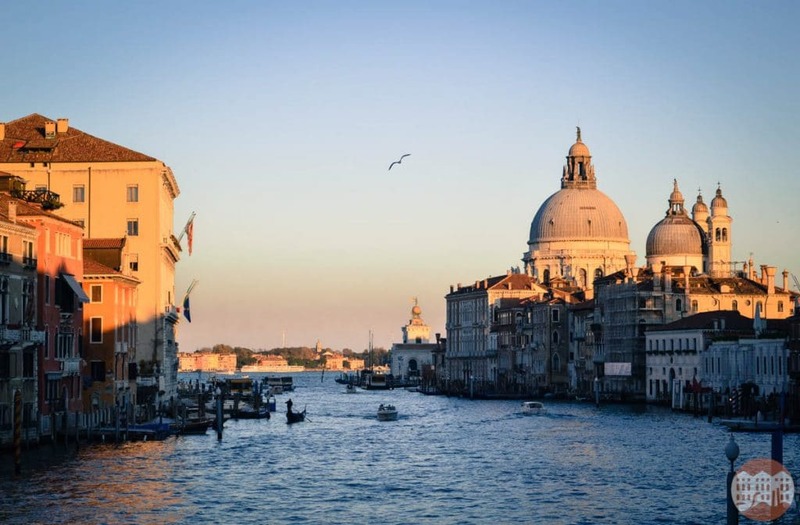 Maybe not everyone knows that today’s Accademia Bridge in Venice was built in only 37 days. A very short time. Not quite a record though considering the bridge was inaugurated on the 15th of February 1933 and was supposed to be a temporary solution since the bridge was to be then constructed entirely in stone. Nevertheless, the Accademia Bridge projected by Dulio Torres and Ottorino Bisazza was the largest arched wooden bridge in all of Europe at the time. Over the years, the perishability of the materials manifested the nature of the temporary work of art. In 1986 it was necessary to substitute some of the wooden elements with metallic insertions to hold the structure. If you are in Venice during this period, you will certainly notice when crossing the Accademia bridge the work in progress. The whole structure is unfortunately covered by the necessary scaffholding for restoration. The incredible panorama the bridge is famous for is completely blocked. So if you happen to pass it today or at least until May 2018 (when the restoration work should be concluded) you will be forced to use the external one-way detours along the bridge. 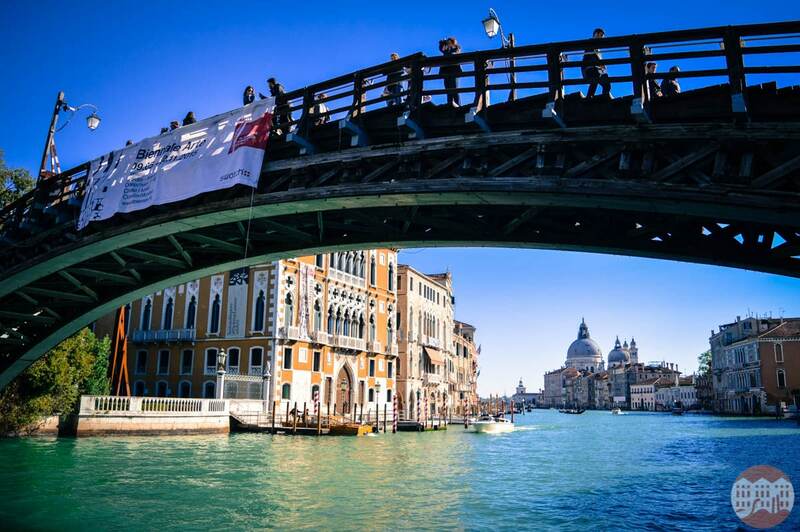 Until 1854, the Rialto Bridge was the only Bridge that crossed the Grand Canal. With the construction of the Accademia bridge and later the Ponte degli Scalzi, a structure of metallic industrial style designed by the English engineer Alfred Neville. These bridges didn’t just add to the places to cross the canal but new points to observe the city. The view form the Accademia Bridge is unique: a sight of the San Marco Basin and the spectacular Salute Basilica, especially when illuminated by the pink sunset is breathtaking.